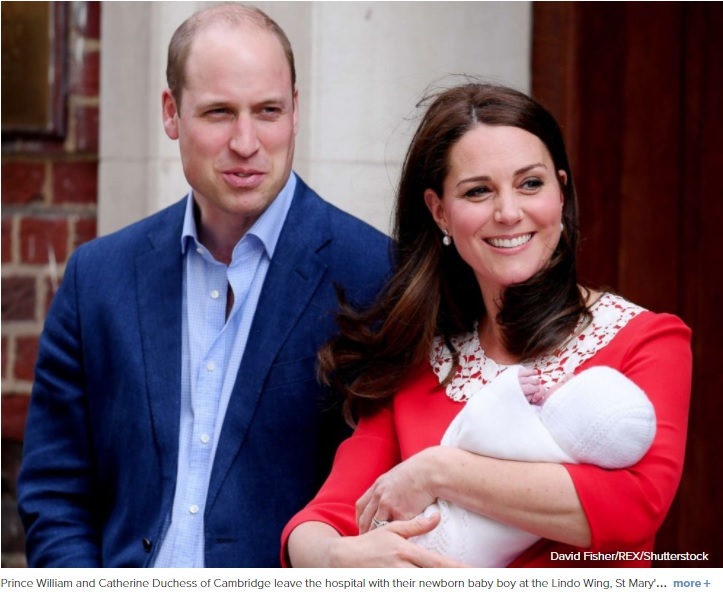 More happy news has been announced for Prince William, who welcomed his third child with Princess Kate Monday. “The Duke of Cambridge is honoured to have been asked, and is very much looking forward to supporting his brother at St George's Chapel, Windsor on May 19th,” Kensington Palace said in a statement. Harry stood by William’s side when William wed Princess Kate in 2011. “Losing our mother at a young age, it’s helped us travel through that difficult patch together," William continued. "You’re like-minded. You go through similar things. It’s a bond, and it’s something, you know, you’ve tackled together and come out better for it. He added, "That's the thing about being a best mate, inevitably one of you is sometimes on an up, while the other is on a down. You’re always there for each other and repaying the favor." Now it is William's turn to repay the favor and reciprocate as Harry's best man. 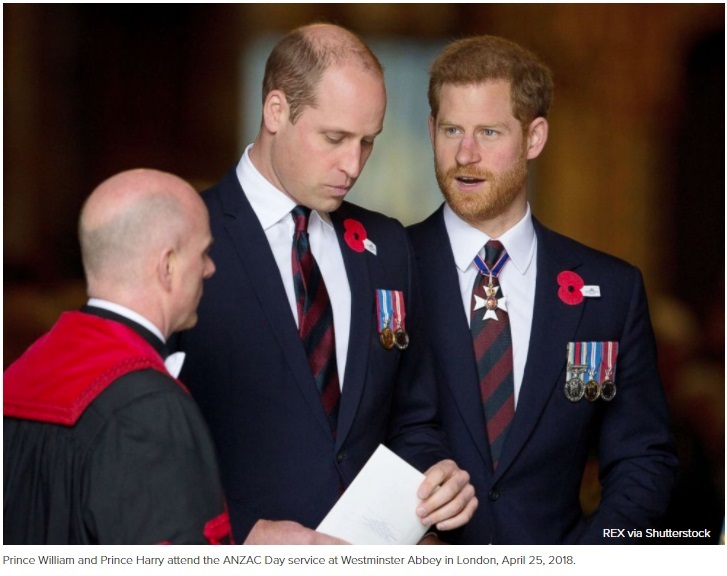 Harry revealed last year that William had encouraged him to seek out mental health support after he "shut down all [his] emotions” for nearly two decades after Diana's death. "For me personally, my brother, you know, bless him, he was a huge support to me," Harry told the U.K.'s The Telegraph. "He kept saying, 'This is not right, this is not normal. You need to talk to [someone] about stuff. 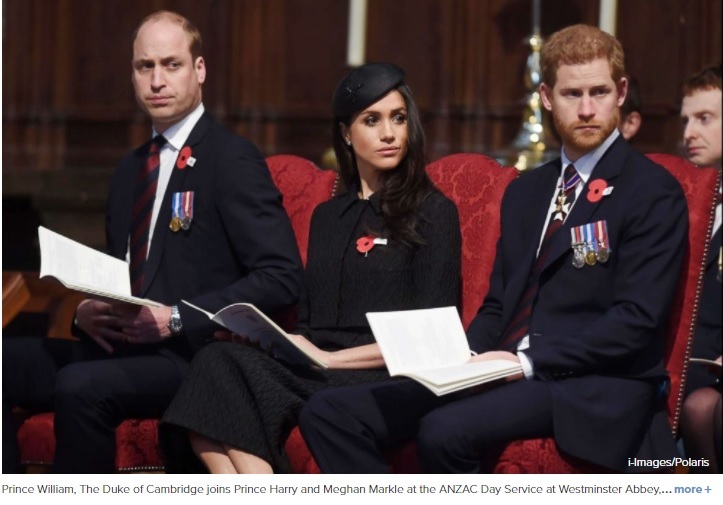 it’s OK.'"
William and Kate have also welcomed Markle into the family, helping to guide her on everything from charitable work -- Markle will become a patron of The Royal Foundation after she and Harry wed -- to the pace of royal life and what to expect at royal engagements. 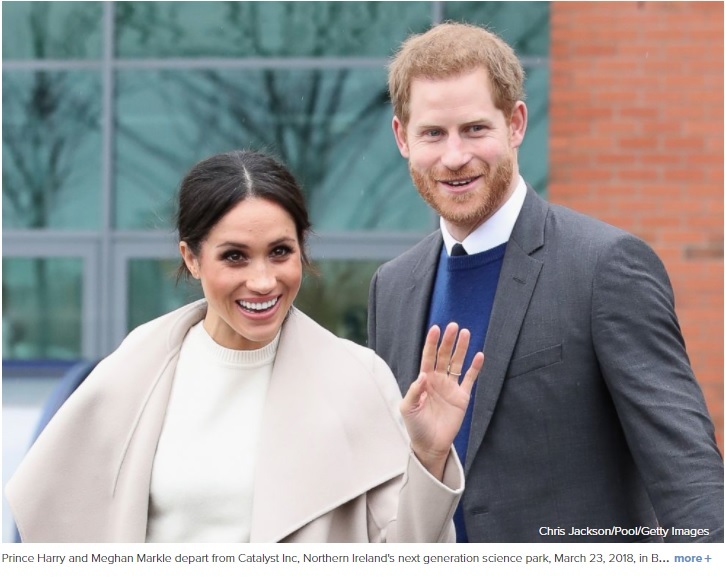 “The family has been great and over the past year-and-a-half we've just had a really nice time getting to know them and progressively helping me feel a part of, not just the institution, but also part of the family, which has been really, really special," Markle said after her engagement to Harry was announced in November. William and Kate's young children are also expected to play important roles in Harry and Markle's fast-approaching wedding day. George, 4, is expected to serve as a page boy and Charlotte, who turns 3 May 2, is anticipated to be a bridesmaid at the May 19 wedding at St. George's Chapel at Windsor Castle. 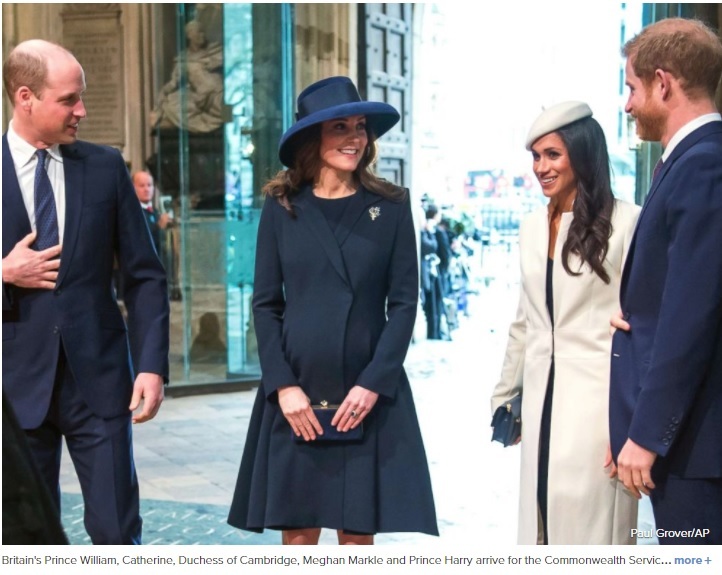 Kate, 36, is also expected to attend the wedding, which will come less than one month after she gave birth to her and William's third child, an 8 pound, 7 ounce boy. In addition to William, Harry has a group of longtime friends -- including Guy Pelly, Tom Inskip, Arthur Landon and Tom Straubenzee -- who could be by his side at the wedding.